Other than work of course? Amid the hubbub and general frustrations of commuting to work, most people are too concerned with the scent of commerce in the morning than slowing down for just a second to take in any nearby sights and notable geographic points. Living in the D.C. metro area makes this one easier for me than most. I’ve lived in three places since moving out here and the other day I took the time to take some notes of my commuting travels – past and current. Two places of residence were located near the Westernmost point of the D.C. border, and I would regularly walk from Maryland to the District to catch a bus (unfortunately, I was only met with a “Welcome to Montgomery Co.” sign upon returning, no Maryland or D.C. signs to be had. 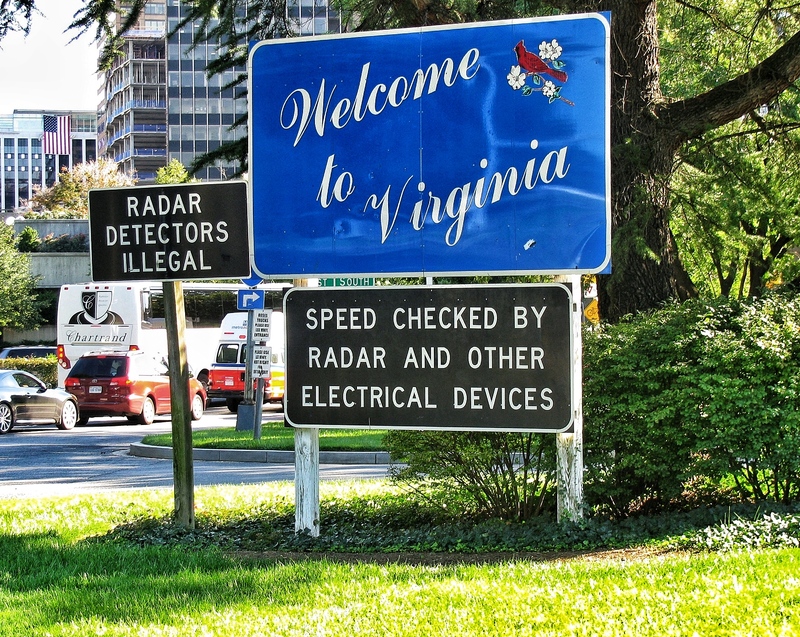 I also lived in Virginia (for all of one month). In this time I was hitting the rails, grabbing the Metro from its westernmost terminus in Vienna. After being dropped off in Rosslyn, I’d walk over the Key Bridge, crossing from Virginia into the District on foot. 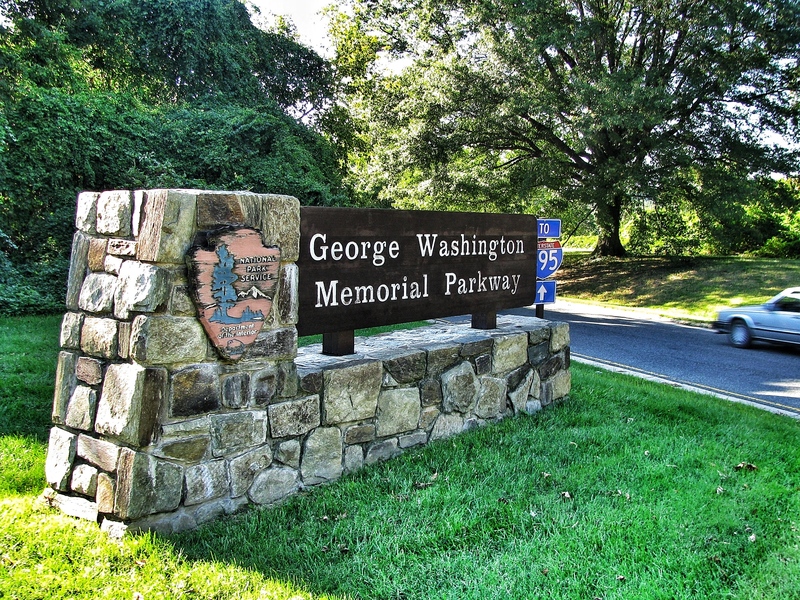 I also got close up to the sign for the George Washington Memorial Parkway (I imagine most of the people driving through here at rush hour don’t pay much attention to the sign, let alone give much care to the historical significance of the road). On top of that I get a sweet view of the Potomac, the Kennedy Center and the Washington Monument in the distance. So the next time you’re rushing off to work, take the time to realize what you might be passing. Is it an interesting local building? A national monument? A state or county border? Where does your commute take you? Posted in Maryland, Virginia, Washington D.C.
My commute takes me from the western hemisphere to the eastern hemisphere and back every day (based on the Prime Meridian used by the United States prior to the adoption of Greenwich as an international standard). It runs (ran?) directly through the Crystal City section of Arlington County, Virginia. I think we could count the number of people on one hand (one finger, perhaps?) cognizant of that little factoid while they commute to-and-fro work. Kudos for pulling that one out! From this spot, heading south on the GW Parkway toward National Airport, you appear to be in Arlington, Virginia the whole way. But the Parkway crosses the border into Washington, DC and back multiple times. It runs over a series of small islands that are in DC. This is visible on Google Maps. One of these islands contains Memorial Circle, in front of Arlington Cemetery. The Arlington Memorial Bridge spans the Potomac River from the island to the Lincoln Memorial. So the Arlington Memorial Bridge is actually in Washington, DC..